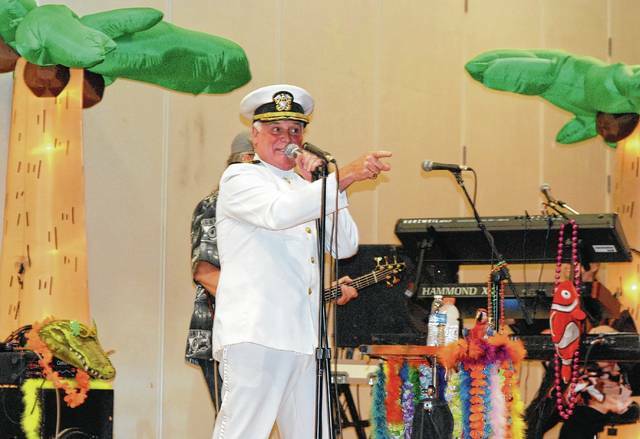 Parrots of the Caribbean, a Jimmy Buffett tribute act, performs at Urbana High School’s auditorium after raindrops chased the show indoors on Friday. It was the first installment of “Sounds of Summer” - the Champaign County Arts Council’s seasonal concert series. The second part of the series will be an Eagles tribute band called Hotel California at 7 p.m. on July 4 at Grimes Field. Parrots of the Caribbean, a Jimmy Buffett tribute act, performs at Urbana High School’s auditorium after raindrops chased the show indoors on Friday. It was the first installment of “Sounds of Summer” – the Champaign County Arts Council’s seasonal concert series. The second part of the series will be an Eagles tribute band called Hotel California at 7 p.m. on July 4 at Grimes Field.